This particular Jabra BIZ 2400 II Mono QD Headset offers users 3-in-1 wearing styles and ultra noise cancelling technology that helps in ensuring that users get to enjoy crystal clear conversations. Considered to be one of the most popular headsets in the Jabra product portfolio, it delivers top-notch performance and unequal comfort. 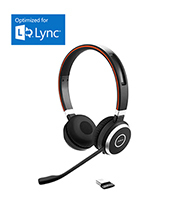 Jabra BIZ 2400 II Mono QD Headset delivers top-notch performance through its integration of specific technologies, including Ultra noise cancelling technology, crystal clear HD Voice technology, and Hi-Fi sound technology. 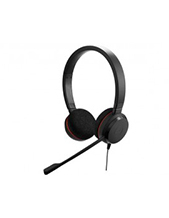 It offers incredible comfort through its lightweight headset and super soft leatherette ear cushions and headband. Do you want to find out more about this product today? If you are interested, call our hotline today at Australia wide 1300 131 133! Headquartered in Copenhagen, Denmark, Jabra Corporation is an enterprise that excellently delivers top-notch audio and sound quality to users. The company takes pride in being responsible of powering many contact centres and offices all over the world. Jabra, founded in 1983 by Elwood Norris, is a Danish company GN Netcom subsidiary that is popular for its development and manufacture of wireless and corded headsets for all types of customers, including individuals and enterprises, like contact centres and large offices. Headquartered in Copenhagen, Denmark, the company has its roots way back in the foundation of Norcom Electronics Corporation, a Utah company that focuses on ear-radio and ear-microphone technologies and devices. Some of these technologies include active noise cancellation technology and DSP-based echo cancellation technology. Jabra has become the epitome of excellent audio and sound quality throughout its existence in the international market and has continued to be so through its operations and research and development efforts. 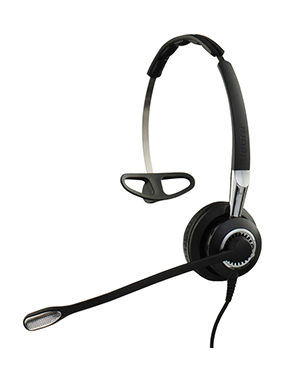 One of Australia’s best providers and wholesaler of headsets and headphones, Headsetsonline is definitely an expert with its experience hinging on its parent company that has been delivering the headsets needed of corporate sectors and government agents since the year 1998. 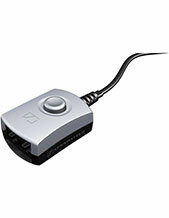 It is a top-notch provider and supplier of headsets, headphones, and speakerphones in the Australian market. The company is popular for being one of the best in delivering the most ideal products and solutions to cater to specific needs and this is evident through the company’s operations since the year 1998 and how it provided to the audio and sound needs of corporate sectors and government agencies.